Every Little Thing's Kaori Mochida has announced she's now married. 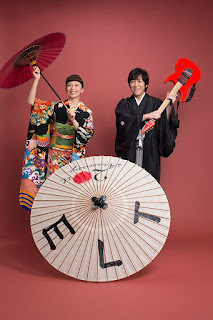 On August 8th, Mochida made the announcement on ELT's official website. "Today, I have registered my marriage to a non-celebrity man that I have been dating for some time." She also said, "After meeting him, I reflected upon my feelings, and with time, it became natural for us to become family." This year the group is also celebrating their 20th anniversary. On September 23rd they'll release a new album which is titled "Tabitabi". They're also going to release a 5-disc best-of album titled "Tabitabi ＋ Every Best Single 2 ~MORE COMPLETE~". From October and onward they'll embark on their nationwide tour, "Every Little Thing 20th Anniversary Best Hit Tour 2015-2016 ~Tabitabi~".